Several years after Emma was born, we had a son, and the idea-generating and idea-discarding began again. We had always liked the name Samuel, and it had the advantage of being my father’s middle name. My dad, George Samuel Rohrbach, never mentioned something that my genealogical investigations later uncovered: he was named for his maternal grandfather and his paternal great-grandfather: George Turnbull and Samuel Rohrbach, respectively. So now we have Samuel–George Samuel–Samuel, another level of depth to our naming choice. I haven’t been able to trace the Rohrbachs into Switzerland yet; perhaps there are even more Samuels to be found. (For that matter, there may be more Emmas—and Ellas—to be found in English records.) As Scott C. Steward mentioned in a post last summer, sometimes names bring with them far longer histories than we know. The first Ella, Ella (Powell) Ladd. I’ve now been populating our family tree with names for a decade or more. What if I’d known some of these names when my children were born? We’d already considered, and discarded, Stonewall, the middle name of my husband’s grandfather (a one-off name, a tribute to the general himself). As a Ladd descendant, my husband has lots of Daniels and Nathaniels in his line. There’s Ray, a surname (of Abigail Ray) picked up as a first name. François J. G., named for the founder of phrenology, and—going way back—one of my favorites, Hatevil. Among the female ancestors, there are Sarahs and Marys and Abigails and a Lucy Ann. On my side, we have the Georges. We also have Sylvia and Orella and Caroline and Maria—and, translating from the Finnish, Johns and Isaacs, Abrahams and Gabriels; and Maia Lisa, Elina, Serafia. But I can’t imagine Emma as anything but Emma, with her strong connection to my mother-in-law and to the other Ella and Emmas. And I can’t imagine Sam being anything but Sam, with the special relationship to my dear late father—and to great-great-grandpa, the immigrant Samuel Rohrbach. Perhaps you could help me out. If a woman, like Emma, has a birth name Powell and a married name of Byrt, if one wants to “always record a female with her maiden name” then is it also correct to assign her married name(s) in parenthesis, eg, Emma (Byrt) Powell? And when is it more useful and understandable to write Emma (Powell) Byrt, since she is known by her married name (only in obituaries?). I don’t want to confuse people who look at our family tree. I noticed you used both formats, so I thought you would be the perfect person to address my question to. I have one person, for example, born Nora Murphy who married a Murphy and then a Kelley. I’d like to be able to say she is Nora (Murphy, Kelley) Murphy. Would I be breaking the rules in an online tree if I did such a thing? You certainly don’t need to leave this post up on Vita, but I would be grateful for a reply. Many thanks! The standard practice in the NEHGS genealogical world is to always write the name as given name (maiden name) married name. Then with more than one marriage you would say Nora (Murphy) (Murphy) Kelley. That said, when in the correct order, maiden-married name combos can be quite entertaining. One of my favorites is in my CUPP line. This particular gentleman married a woman whom we’ll call Sarah, whose maiden name was COFFEY, making her “Sarah (Coffey) Cupp”. Alas, I’m still looking for a TEA-CUPP union… LOL! Two comments: 1–I’ve always seen the maiden name in (), not the married. But I also have a problem with my own name, wondered if anyone else did. I use my maiden name as my middle name, just like my mother and grandmothers did. The govt and just about everyone else wants to hyphenate it. I am NOT nobility, thank-you-very-much, no matter how many were in the family in the past. I often have to try both last names, for example, when voting. Have tried changing it every couple of years, and they never can get it right! When did this name format for married women change? 2–my family has a line of Katuras. One every generation, always as a middle name. (Inez Katura, Kathleen Katura, Natalie Katura, Morgaine Katura, Alice Katura…) And it comes with a pale blue topaz ring that belonged to our “original” Katura, born in Maine in 1873. The girls call it “the Katura Topaz”…..maybe we are nobility after all [grin]. The name was fairly common in 19th century New England, but I’ve never seen it since. It’s an alternate spelling of Keturah, Abraham’s wife after Sarah died, in the Bible. Thanks for an intriguing column (I’ve just discovered)! Penny, I share your love of family naming patterns! I love your tale of the Emmas and Ellas and Georges. 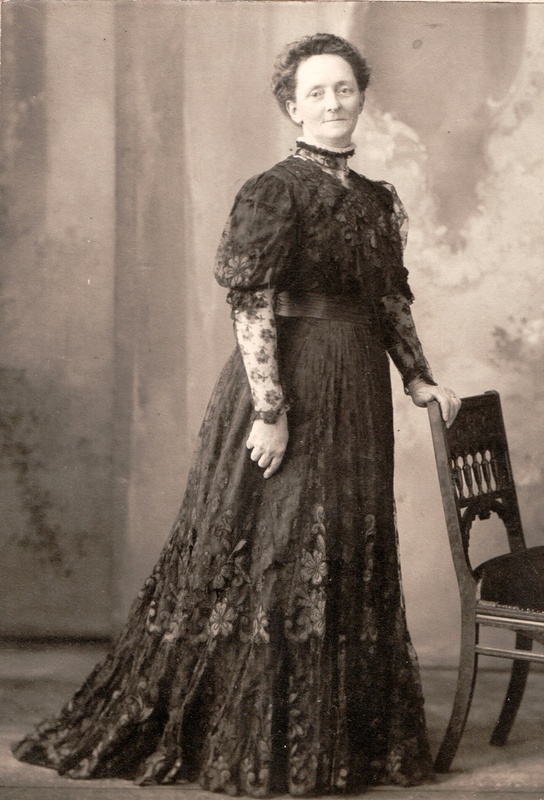 I have to chuckle that my favorite ancestress and best family genealogist, my paternal great grandmother, was born Emma Grace Jones in tiny Tamaroa, Perry County, Illinois in 1869. But she hated the name “Emma” and always referred to herself as “E. Grace” or “Grace.” Never ever Emma! She gave birth to four living sons and a daughter. The oldest son was named “Vernon,” a name that my grandfather could only guess at its origin when I asked him late in life. But the middle two sons were clearly named for E. Grace’s favorite family members. The second boy was named “George Webster” for her maternal uncle, and the third boy was “Elbert Morris” honoring her two half brothers Albert and Egbert and her father Morris Leach Jones. The daughter, “Helen” and last son “Leslie Arthur” were, again, given names of mystery origin (probably contemporary popularity). My father, a junior “George Webster” named for his father, also hated his name. When my son was born, my father pleaded with me to not name him “George Webster” though I wanted to. (My husband was not necessarily keen either!) So my son is “Geoffrey William” with the same initials, which was as close as I could get approval from the family naming committee! Interesting stories, Candy. I’ll bet Elbert was happy not to be Egbert. And interesting that Emma always wanted to be “E. Grace.” One reason we hesitated a bit with naming our daughter was that the name seemed SO old-fashioned at the time. Then it became immensely popular. But I don’t think Egbert has come back in! I like the story of how your son stayed a G.W.! My grandaughter was named Izabella. Until I started researching my husband’s English family tree we thought she had a unique name. I have found several generations with a Isabel, Isabella, etc. She loves the idea of having a family name. I am childless, but would have named a daughter Rachel, after my mother. She was named after her Norwegian grandmother Rachel. As I began researching that branch of the family, I found a Rachel in every other generation in that line–four my mother hadn’t known of. Two other women’s names recur in my father’s family. 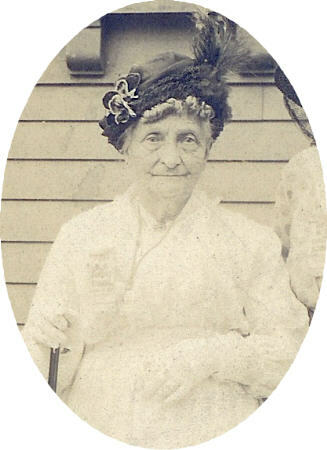 In a New England family, Eunice Jewett (1828-1891) was born in Cleveland of Eunice Andrews who was born in New Hampshire. While I can’t trace her family, the Jewetts founded Rowley, MA in 1639. Eunice Jewett married N.S. Bastion; they were my gg grandparents. One of their daughters was Eunice Jewett Bastion. One of her granddaughters was also named Eunice, an aunt of my father’s, for a total of five I can trace. In another case, a Neeltje Schermerhorn was born in Schenectady in 1725. Her granddaughter of the same name, b. in 1781 in the same place, was my ggg grandmother; she married a man named Bastion, one of whose sons, N.S Bastion, married Eunice Jewett. This Neeltje’s family moved to the Midwest and she took the name Eleanor. Many women with a variety of diminutives of Eleanor, from Ella to Nell, dot the family tree to this day. I have photographs of a number of these Rachels, Eunices, and Eleanors. Our ancestors were neighbors then, in the Schenectady Stockade. We descend from the Van Vorst, Marselis, Heemstraat, Van Eps & other families. A regret of mine is that I did not ask my mother from whence she choose my name. The middle name I chose for my 50 year old daughter was Janine, and she always loathed it, until last year, at which time she finally embraced it. And then there’s the danger of having neighbours with strange family names. An ancestor of mine let her neighbour have the honour of naming her son. The name he was given ? Hiawatha Montressa Harding. For some reason, he went by “Bub”. The other problem is that I always had to spell it and/or teach people how to pronounce it properly — AH-LEE-SHA — which the family shortened to LEESHA. Somewhere along the line I got used to the name and its distinction, though I think I’m really an Alice at heart. Alicia, I think I was in college before I met another Penelope. Some Pennys, I learned, are really Margarets or Patricias or something else. And, oh, the spelling of it! And the mispronunciations. Now it’s become popular. Go figure. My given name is Joanne. My parents told me they gave me the name with “anne” in it because Dad’s mother was Anna. 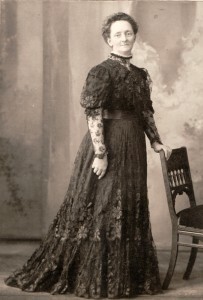 Several older cousins of mine had already used variations of “Anna”. Thus my name of Joanne. In my many years of research I’ve come across “Joanna”, “Johanna”, etc. on both sides of the family…families in Germany, Switzerland, Sweden, England and in early New England. I don’t think either of my parents knew that the variations of Joanne were in their family trees. There are no other Joannes in my tree because I was named by a maternity nurse who told my (obviously easily manipulated) mother that the truly horrendous name she’d chosen – “Arbitha” or something similar – would “just NOT do for such a pretty baby”, and my dad agreed. So “Joanne” is what’s on my birth cert, but for some reason records keepers and data entry folks insist on capitalizing the “a” or separating the two syllables (i.e. JoAnne, JoAnn, Jo Ann/e). Beats me why this is when they don’t seem compelled to alter “Diane”! Oddly, they have no problem with JoannA, the variation I adopted after a trip to England in 2003. No matter how carefully I introduced myself as “jo anne” (two syllables), the response was ALWAYS “Hello, JoANNA” (three syllables). Go figure! I loved reading this story about family names. We have a story that still gives me chills. I was expecting our first child,not knowing the gender in those days, my husband’s 87 year old grandmother asked if we had chosen any names. I told her we hadn’t decided on a boys name,but if it was a girl the name we chose was Carrie Marie. She looked up at me and said “did you know that was my mothers name?” We had no clue! Our Carrie Marie was born 4 months later. What a wonderful story, Ellen! Do you think your Carrie Marie will pass along the name? Great name! We had a Thank Ye Lord. What a sweet story! Last year our family was blessed with our first great granddaughter (after 4 great grandsons). The baby was named Hannah after her 4th great grandmother, Hannah Brinn who lived in Elgin County Ontario. I was tickled pink to say the least and for a special gift I decided to research all the Hannahs that I could find on her family tree. It was so much fun…I found about a dozen Hannahs…most going back to early New England: two Hannah Spencers, Hannah Hills, Hannah Hawkins, Hannah Cogswell, Hannah Willey, Hannah Briggs, Hannah Covey….well, you get the picture. I found a great website of baby portraits painted around the years the Hannahs were born and printed them, I wrote a brief bio on each Hannah and made a scrapbook with colonial looking papers. I learned some things as well…many of my Hannahs had a connection to early Milford CT and I had not realized that these ancestors may have known each other! My hope is that any future great grandchildren have family names so I can do it again! What a wonderful idea for a form of a family history. And definitely worth repeating! Penny – you wrote “. . . and—going way back—one of my favorites, Hatevil.” Was that, by chance, Hatevil Nutter; while not in my direct line, he is on a collateral line. As far as not being very original, starting with my paternal great greatgrandfather we have Howland Davis, Howland S. Davis, and repeat for four more generations. Yes, Howland, it is Hatevil Nutter. From what I understand, Hatevil is a marker name: if you hear Hatevil, you know it’s a Nutter! I am loving all these name stories! I have always loved thinking about names, and I can find many of them in my work at NEHGS, of course. Penny, one of my best friends is a “Penny”, but it’s not a nickname for Margaret or any of the other names you mentioned. Her birth name is Pauline, but because she was a skinny thing as a child, an uncle thought she was “piney”, which he pronounced “Pinny”. Her husband, however, didn’t think she was “piney” but “bright as a penny”, and she’s been “Penny” ever since. I’ve found some, ahem, interesting names in researching my family tree. For instance, my 11th great grandmother was named Frances Blaverhasset — a little research indicated the name was old English meaning house on the sheltered side of a hill. (I found the surname so unique that I call my iPad Blaverhasset.) Then there’s my fifth great grandfather Preserved Tripp; I guess he was saved from the fall. I have a Thomas Fish who married a Mary Soule; an even more “fitting” name coupling was Thomas Glover who married Thomasine Hand. But the most unfortunate name I’ve found belonged to my seventh great-grandmother Mehitable Fish’s brother. I don’t know if he was smoked, pickled, or dried, but the poor man’s name was…Preserved Fish! All my siblings and my children carry family names as well as Mother and her sisters. Some of these names hark back to the Revolutionary period and some are from more recent family members. For example, my mother was Carolyn Lyle; Lyle was the nickname of her great aunt Eliza. one of her sisters was Dazie after her grandmother and the other was Sally, after a Revolutionary era wife named Sarah but always called Sally. Likewise my children are called Cynthia, after my sister, Suzette Mae, the Mae after her grandmother and Daniel Joseph, Daniel for his grandfather and Joseph for my grandfather. I have one Mehitable, which to me seems odd. One I have seen is Freelove. One of my favorites is Harlakenden, one of my surnames. The name Granville has been passed down through my husband’s family, given as the first name but recent generations going by their middle name–for example, my father in law is G. Dale and a cousin is G. Allen. When my son was born, we changed the Granville to the middle name so he would not have to spend his life as G. James (James being my father’s middle name). After doing more research on my side, I found my 2nd great grandfather’s middle name was Gangolf, one of the patron saints of Munich. I now tease my son that in addition to passing on the name Granville to one of his children, he also has to pass along the name Gangolf. My daughter, by the way, is named Elizabeth after 2 of my grandmothers and 3 of my 4 great grandmothers. One of my daughters was named after her dad’s gm whose first name was Windess, which centuries ago was an ancestral surname in the Hull area of England, but spelled Windass with an “a”. Thankfully, at whatever point the surname was adopted as a first name for girl babies in that line, the “e” had been replaced with an “a”. Funny you should mention Emma and Ella as recurring family names in your family, Penny. If I’d been more attune to family tradition when my eldest daughter was born, she would’ve been “Emma Luella”, after my paternal gm Emma Charlotte and my maternal gm, Luella May. As it was, only Charlotte got passed on as a middle name for another daughter, partly after Grandma Emma and partly after my best friend Charlotte. Lots of Samuels in my father’s line. More recent families have adopted the pattern of giving mother’s first name as girls’ middle name, and her surname as boys’ middle name.